Orleans Island is a love at first sight. 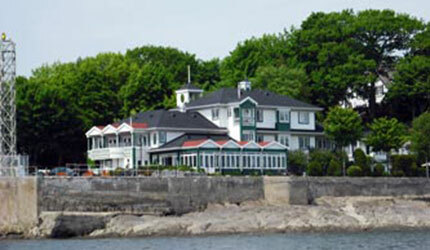 Five kilometers from Quebec City, the island delimits the St. Lawrence River and its estuary. 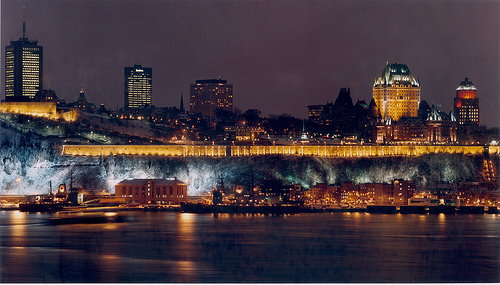 Nowadays, the Orleans Island is the most significant historical representation of Quebec. Navigate around the Orleans Island coast and discover its architecture, its history and the legacy of its charming coastal villages. On reservation, departure at the very latest at 10:00 AM. Please contact us for further details. 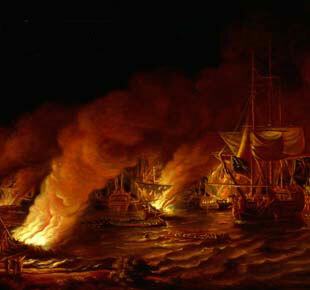 Seize the opportunity to discover a spectacular view at a close range of these sea cavaliers. 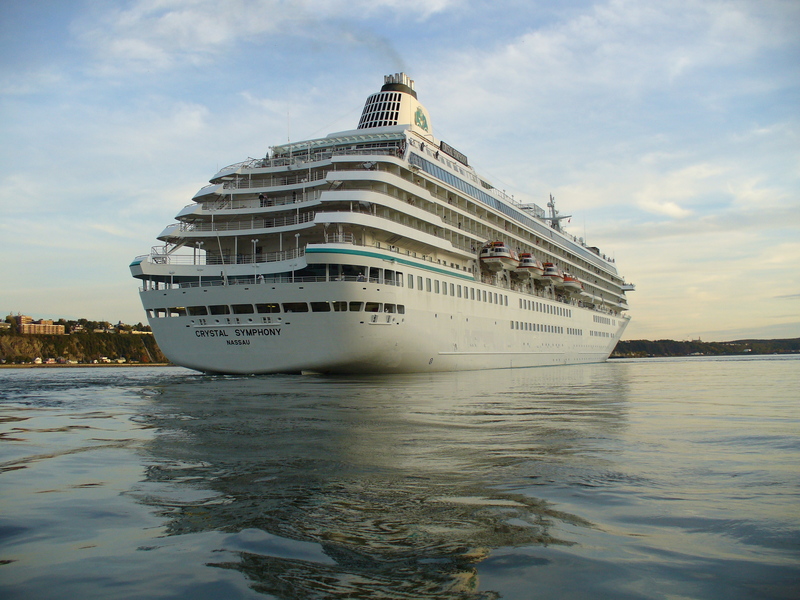 At your own pace, follow the cruising ships on their arrival or departure. Bring your camera and immortalize these magical moments. An enchanting autumn with its wonderful colors and the breathtaking landscapes surrounding Quebec will accompany this unique experience. 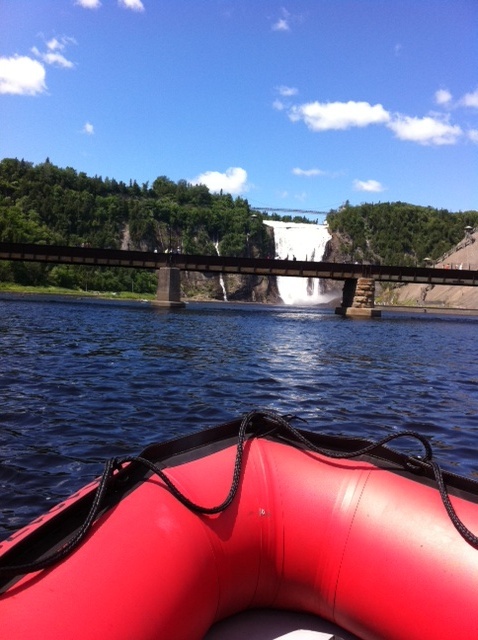 An epic raid: cliff of Petite-Rivière-Saint-Francois. All day long! This activity is unique in the world! 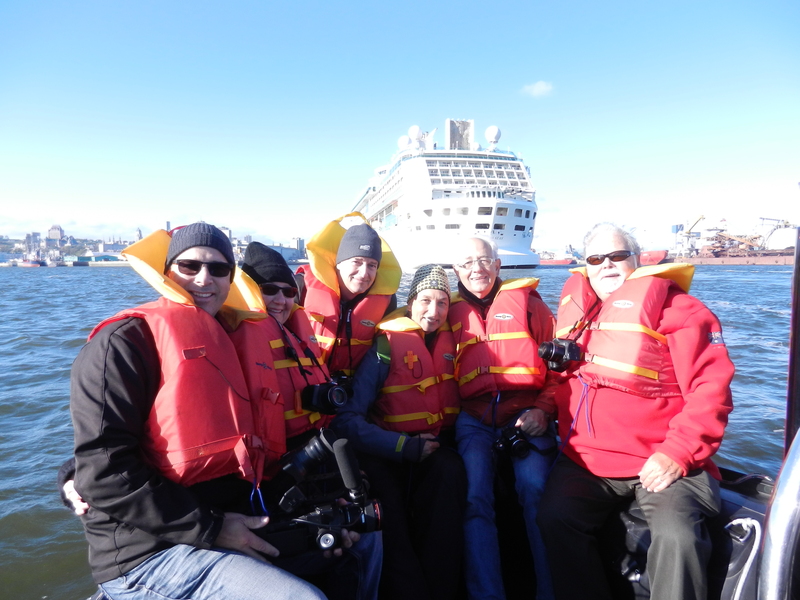 The Zodiac boat turns into a golf kart and your captain into a caddy! 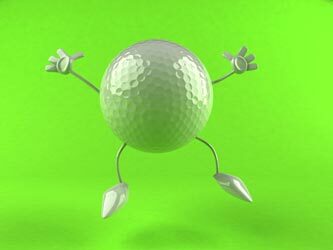 Which other golf course offers you the opportunity to change your golf shoes for rubber boots? Everyday, depending on your reservation. Please contact us for further details. 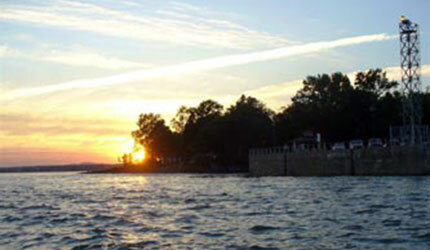 1 hour of Zodiac and ½ hour of golf on the St. Lawrence River. A day you will remember! California is here! Let’s plan together a day where everything is possible: excursion along a zodiac boat, picnic on the beach, volleyball, bowls, badminton, soccer, frisbee, and beach umbrellas. A day to repeat at the Beauport Bay this summer. 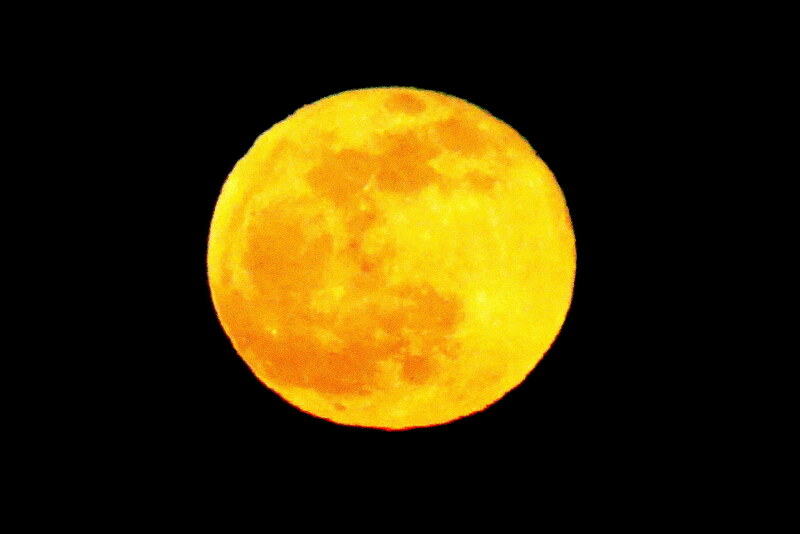 Join the forces of the biggest tides, light of the Quebec city and interpretation of the full moon on quebec city in the same private tour ! 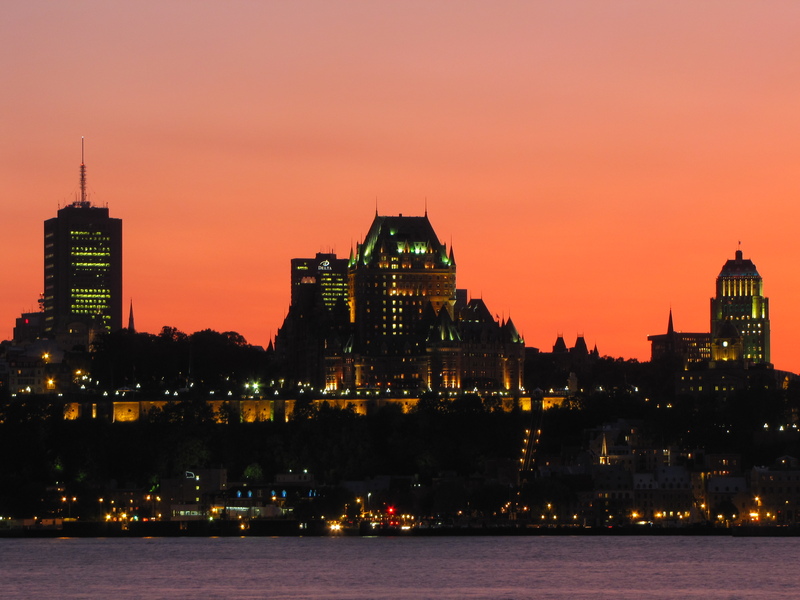 Reward yourself with an evening excursion on a Zodiac boat on the majestic St. Lawrence River and, at the same time, admire the sky lighting up right in front of your eyes. 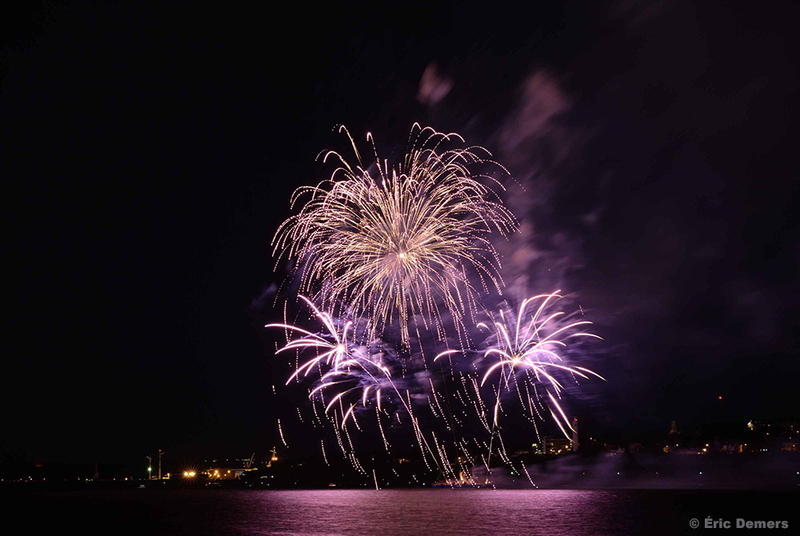 The best view on the Loto-Québec International Fireworks Competition is offered by Excursions Maritimes Québec! Exclusive boats are available to you! 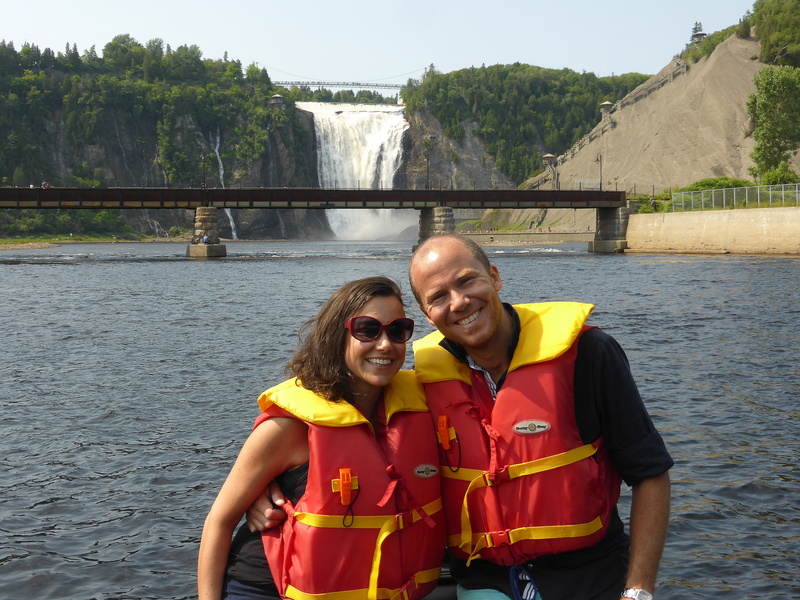 Live the incredible experience of the best view on Quebec with Excursions Maritimes Québec and enjoy the beach and all the other activities at the Baie de Beauport. 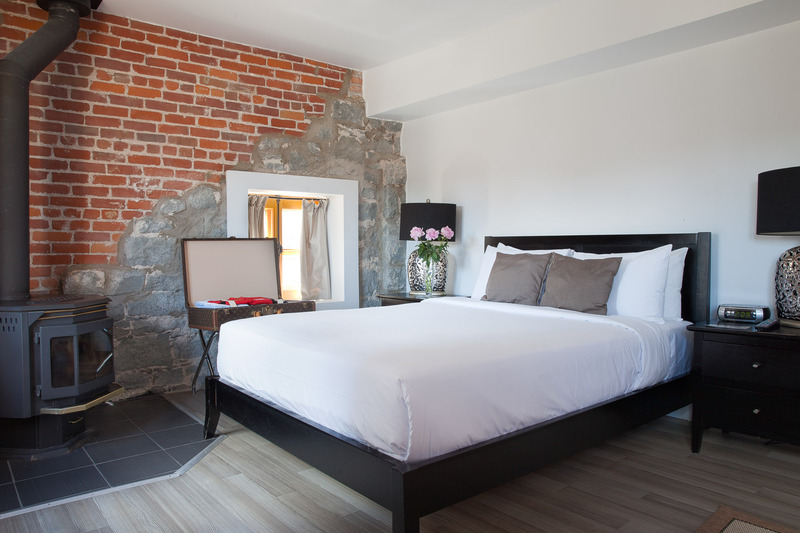 At the heart of Quebec, in the historic Old Port, the Hotel Port Royal is a 4-star boutique hotel offering its 51 suites for business and leisure travelers an upscale accommodation. 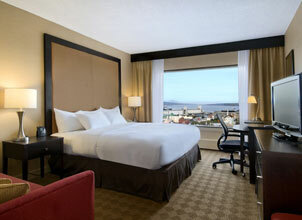 The Hilton Quebec is two steps away from the Old Quebec’s attractions, festivals and entertainment district. 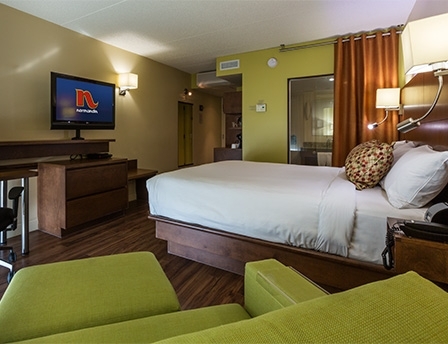 All the recently renovated guest rooms have a breathtaking view on the wonderful Quebec City region. 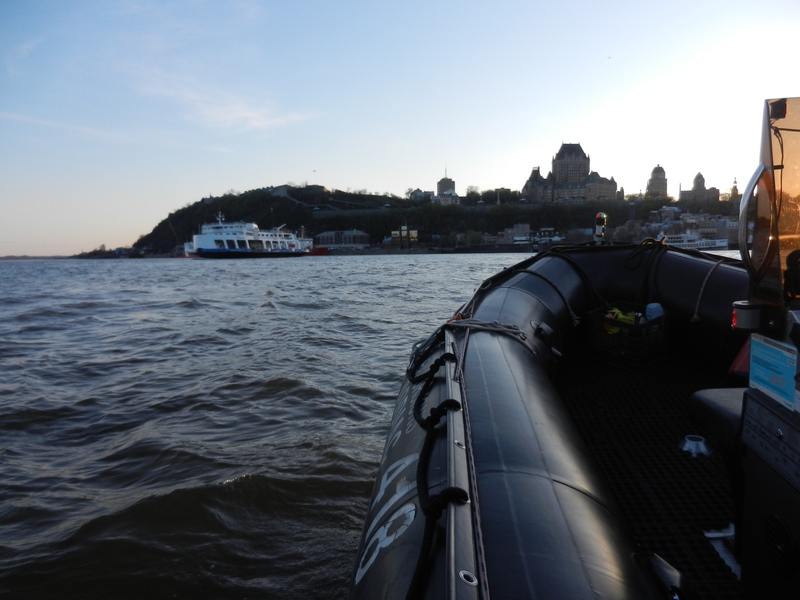 Sleep at the Hotel Le Voyageur Quebec and get a private or semi-private cruise in the morning for the “Baie Attitude” day. 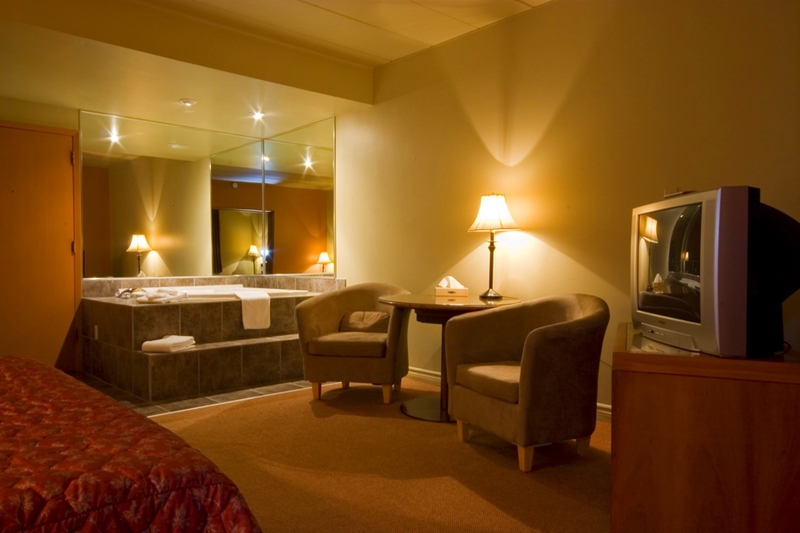 Five minutes away from the Beauport Bay, the hotel Le Voyageur offers spacious double-bed rooms with the following services: breakfast included, free parking, indoor swimming pool, and two bars, one including a terrace. 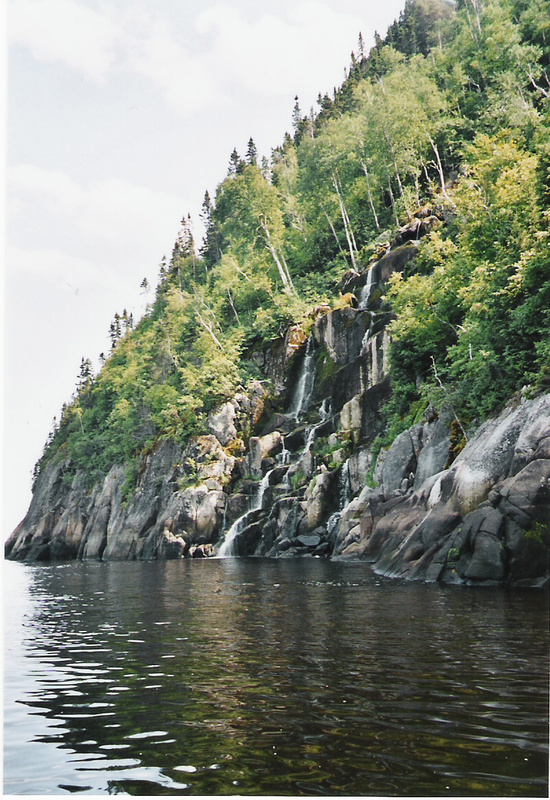 Stop by the third most wondeful village in Quebec: Saint-Jean-de-l’Île-d’Orléans! 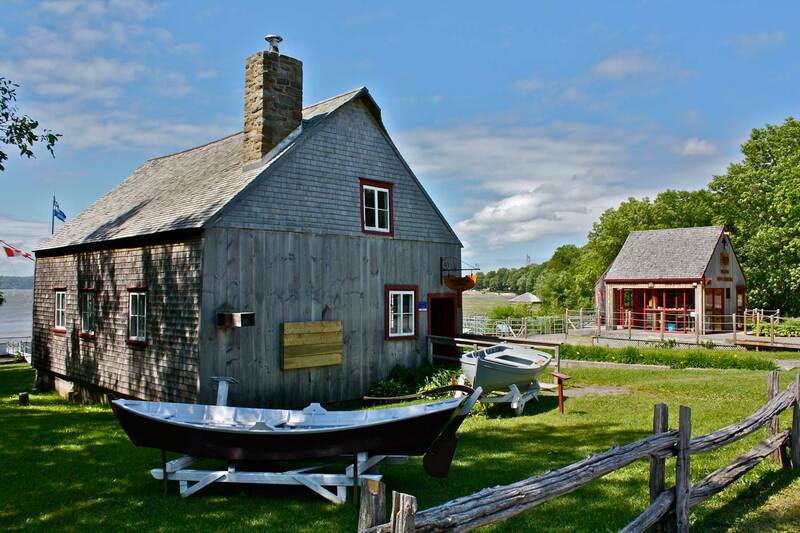 This small village was once the installation place for the St. Lawrence drivers who welcomed and guided all ships approaching Quebec by the navigation channel. 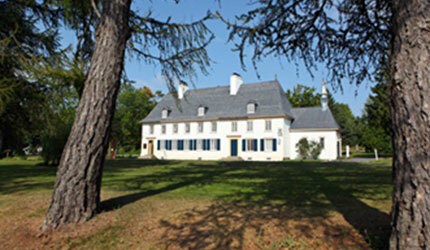 Visit the Mauvide-Genest Museum or take part in a guided tour of Saint-Jean-de-l’Île d’Orléans. Admire the most remarkable church on the island, known as a historical monument, and the marine cemetery overlooking the wonderful St. Lawrence River. Where insularity takes its full meaning! 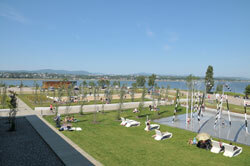 From Quebec, make a stopover at the St. Lawrence Maritime Park and discover the maritime museum. You will also learn things about the old wooden shipbuilding on the Orleans Island while admiring an authentic and picturesque landscape. Wether alone, with your friends, or with your family, you will have a great time!